Congratulations – you’re going to enjoy this special MP3 power nap session you can play as often as you like when you need to rejuvenate and revitalize your body and soul. A confirmation email is on its way to you now and should be there within 15 minutes. When you receive it click the link as shown in the above image of the email message you’ll receive. 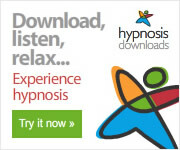 You will then receive an email with a link so you can download the FREE power nap session. This extra confirmation step is done to protect you in case somebody else sent us your information without your knowledge. I’d love for you to “Like” my Facebook Page so you can discover lots of additional resources and articles related to sleep, hypnosis and other related topics posted there every week. I’m looking forward to seeing you on our Facebook page.